Join the Silver Follies for their annual spring showcase on the FMCT stage! Directed by Bill Lucas, this year’s Follies performance takes on the theme Music & Mayhem for three performances. 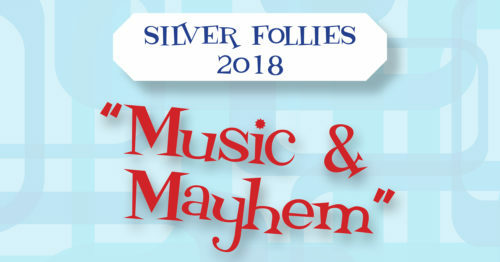 The program will include lively musical numbers, dance, and a short, scripted play-within-a-play whodunit entitled “A Murdered Mystery.” Featuring performers aged 50+, Silver Follies demonstrates that performing is not only for the young, but also the young at heart.